Performers include: Jon Foo, Justin Hires, Wendie Malick, Aimee Garcia, and Page Kennedy. This action comedy series is based on the Rush Hour feature film franchise. It follows a maverick LAPD detective and a by-the-book detective from Hong Kong who knock heads when they are forced to partner together. Detective Lee (Jon Foo) is a reserved and honorable master martial artist with lightning-fast moves. He comes to Los Angeles to avenge his sister’s alleged death and learn more about her connection to a Chinese organized crime ring. 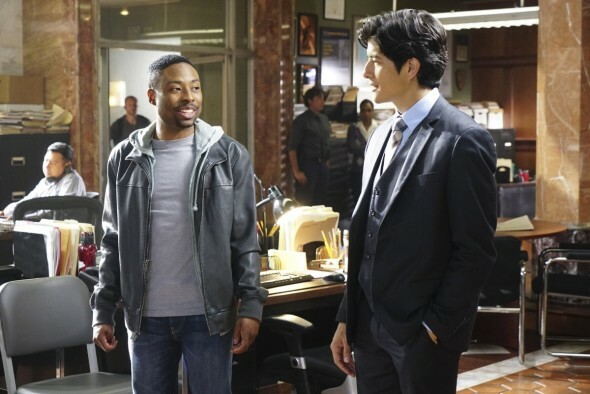 Meanwhile, Detective Carter (Justin Hires) is a wisecracking cop who plays by his own rules. Carter’s boss, Captain Lindsay Cole (Wendie Malick), often gets frustrated with him she knows he’s a brilliant detective who gets results. Attempting to help the two partnered detectives get along is Sergeant “Didi” Diaz (Aimee Garcia), Carter’s friend and former partner who doesn’t hesitate to call him out on his antics. Secretly aiding them as an informant is Carter’s cousin, Gerald (Page Kennedy). He’s a low-level offender who runs with a tough crowd. Even as their cultures clash and tempers flare, Carter and Lee can’t deny they make a formidable team. They’ll also grudgingly admit that sometimes an unlikely pairing can make for a great partnership. When a meeting of rival Los Angeles gang lords is orchestrated by the Quantou gang, Carter and Lee must infiltrate it to find Lee’s sister Kim and save her from going further with the Quantou. First aired: August 20, 2016. What do you think? Do you like the Rush Hour TV show? Do you think it should have been cancelled or renewed for a second season? Please bring it back. A really enjoyable show. Keep looking for it and hoping!!! I did not watch when it initially came on but I am watching it now on Crackle. CBS, you should have kept this one. It is a good show, I think it was just a matter of timing. Try it again and not over the summer season. I hate to see Rush Hour was cancelled. I hope another network will pick up the show and give it the chance it deserves. Network TV has let me down again.I love this show. watched it.It was lazy and a waist to cancel it . Put it on after lethal weapon. My wife and I really liked this show because the actors were really good as those two unconventional police men/partners. It made the show a lot of fun to watch.